"Presentations well thought out & strong"
"Very useful and enjoyable overall, I feel I learned some real skills that I could apply." 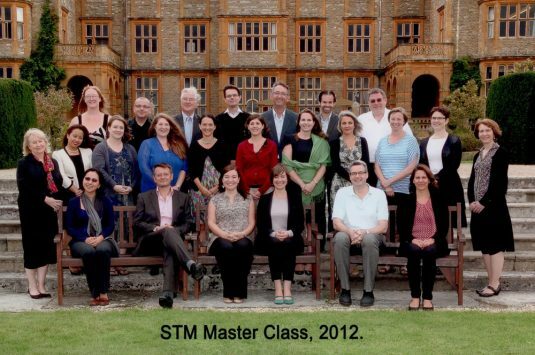 "Networking & sharing experiences with delegates was a key part"
The STM Master Class has established itself as a benchmark for teaching strategic business skills. The course is designed for upcoming middle and senior managers. Speakers are senior managers from major STM companies and from neighboring industries. Students discuss today's key strategic issues in the publishing industry: achieve constant innovation, enable change while maintaining a profitable business, recognize and evaluate substantial risks and opportunities. Topics are taught in a mix of lecture, debate and focused case study work. Who’s holding the stake? And what do they want? What are the biggest threats to my company? Guest Speaker: Sile Lane, "Sense About Science"
How could IMPEC improve performance and grow its business? STM has negotiated special room rates for the course. Please note the number of rooms at this venue are limited so we strongly suggest you book your accommodation as far in advance as possible as STM cannot guarantee availablity. Please mention you are with the STM group to get the special rate. It is essential that delegates stay at Eynsham Hall because work will continue late into the evening. Please check back for course programme information.